Cloud Couch provides a wealth of features for enterprise level project planning, project management, portfolio management, and productivity. The software can be used to create projects using templates, launch them and track them. You can create and assign tasks, milestones and phases; manage change requests, risks and issues; and define approval processes. You can allocate jobs and tasks using skills based resourcing and capacity planning; and capture meeting minutes and track meeting actions to completion. Cloud Coach handles project planning and portfolio management by analyzing the risks, costs and potential profit for the allocation of IT resources and funds. Once you have analyzed the benefits of potential projects, you can produce project charters and define approval processes. You can track and share all project related documents. you can then track costs including retainer spend, and get alerts when tasks and costs run over. Cloud Coach also comes with complete reporting and dashboard tools for measuring every aspect of the business. There are currently no reviews of Cloud Coach. Enterprise : $79/user/month (minimum 25 users). Professional Services Automation and project ROI. Ultimate: Contact Cloud Coach for pricing information. Meeting Management: Note taking tool for meetings, action accountability, link meeting to Salesforce1 records, capture minutes and action items, track & report on ROI. PPM: Manage requests from email, online forms and portals. Predict financial benefits for proposed investments, the costs and risk assessment. Resource Management: Tag resources with skills and locations, allocate working hours, view availability at task level and utilize skills based capacity planning. Project Planning: Create your own custom project templates. Launch projects with a single click, link to CRM and ITSM records. Project Management: Create and group tasks into milestones and phases. Manage and track change requests and approvals. See your critical path and real-time updates on progress. Reporting & Analytics: Generate reports and dashboards based on a range of KPIs across the business, such as tasks, resources, hours, issues, timelines and more. You can also create your own reports. Below are some frequently asked questions for Cloud Coach. Q. What type of pricing plans does Cloud Coach offer? Q. Who are the typical users of Cloud Coach? Q. What languages does Cloud Coach support? Q. Does Cloud Coach support mobile devices? Q. Does Cloud Coach offer an API? No, Cloud Coach does not have an API available. Q. What other apps does Cloud Coach integrate with? Q. 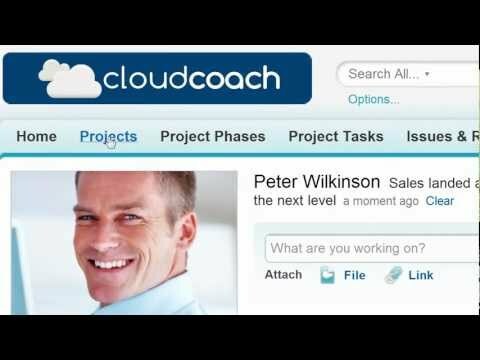 What level of support does Cloud Coach offer? Q. Which apps is Cloud Coach compared to most often?